03/11/2019 Lifeguard Applications: The Village is now accepting applications for lifeguards for the Princeville Aquatic Center. To print an application, Princeville Aquatic Center Lifeguard Application 2019. Applications are also available at Princeville Village Hall, 206 N Walnut Ave., Princeville. All lifeguard applications must be returned to Village Hall by Monday, April 8, 2019. 02/13/2019 PUBLIC NOTICE: The Village now has a Public Alert System available to all water customers. This is a free option to our water customers. The methods used to alert you include emails, voice or text alerts. There are a couple ways to get the Village Hall your information so that we can update your data and set you up for alerts. 1. Complete the questionnaire on the bottom back portion of the current water bill you would have received in February and send it back with payment or drop off at Village Hall. 2. Go to public-alert.com, click on Sign In, Create Email Form for Residential Info (select, Princeville). OR 3. Stop by the Village Hall and fill out a form. Examples of alerts the Village Hall will use this system for are: high water usage, interruption in services, boil orders, Village road repairs, etc. Questions, call Village Hall, 385-4765. 01/24/2019 PUBLIC NOTICE: All Village of Princeville Water Customers should be receiving their letter in the mail today that gives instructions on how to schedule the appointment to have their meters changed out. Please click the link below to view the letter sent to all water customers. 12/27/2018 PUBLIC NOTICE: The implementation of the mandatory water meter upgrades will begin in January 2019. Detailed letters will be sent to all customers in late January directing residents on how to schedule the appointment to have their water meter replaced. The Village of Princeville appreciates the residents cooperation during this important project. 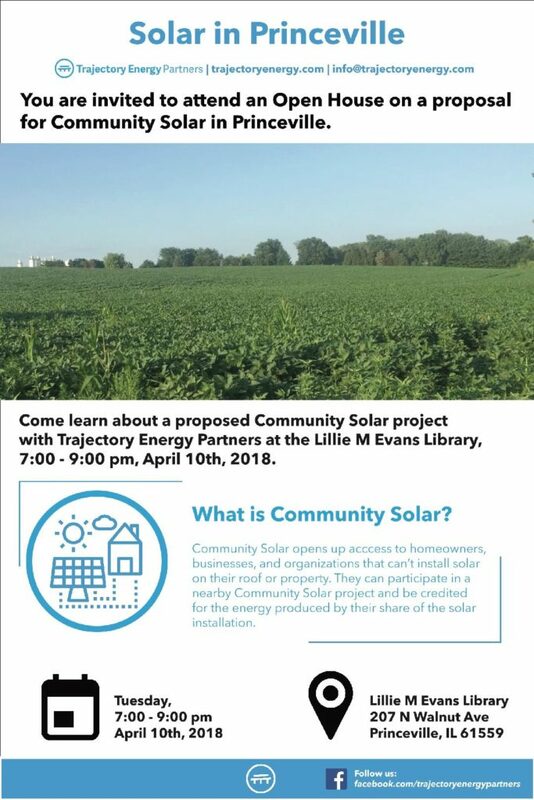 Should you have any questions or need additional information on the program, please do not hesitate to contact the Village Hall at 309-385-4765. 11/12/2018 PUBLIC NOTICE: Notice is hereby given that the Village of Princeville has candidate petitions for circulation for the Consolidated Election to be held on Tuesday, April 2, 2019. 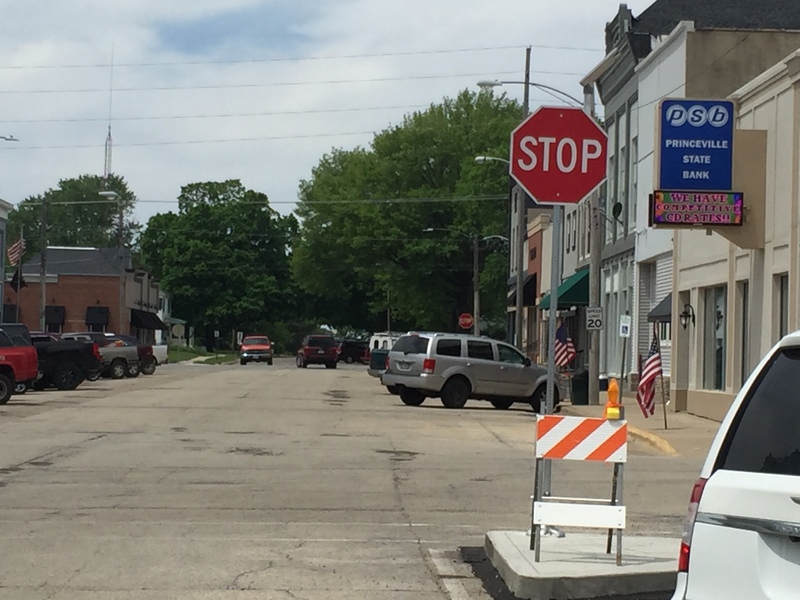 Anyone wishing to run for office may pick up a petition packet at the Princeville Village Hall located at 206 N. Walnut Ave., Princeville, IL. The candidate’s petitions must be filed with the Village Clerk along with the receipt of Statement of Economic Interest, no earlier than 8am on Monday, December 10, 2018, and no later than 5pm on Monday, December 17, 2018. 11/07/2018, PUBLIC NOTICE: The last day the street sweeper will run this year is Monday, November 12 (weather permitting). 11/06/2018, PUBLIC NOTICE: The Village of Princeville was just notified of some work that will be done at the South Walnut Ave. railroad crossing tomorrow, November 7, between the hours of 8am and 5pm. Traffic will be one lane and a flagger will be present. 10/16/2018, PUBLIC NOTICE: The Village of Princeville is hosting a Community Open House on Thursday, October 25 from 7-8pm at the Lillie M. Evans Library Meeting Room. This Open House is regarding the upcoming Radio Water Meter Project. Sensus Meter personnel will be on hand to answer questions. Come learn about the new Radio Water Meters soon! Fall Leaf Removal has begun and the street sweeper will run Mondays, Wednesdays and Fridays through fall to help residents with clean up. If you have leaves in your yard, you may rake them into the street and the street sweeper will clean them up on those days. Questions, call Village Hall at 385-4765. 09/06/2018, PUBLIC NOTICE: A reminder to residents, there is a Village curfew (11pm-6am) for anyone under the age of 17 years old. The curfew will be inforced. Officer Hankins gave warnings last week to those that were out after curfew. She has asked that we remind the community of the curfew ordinance and to remind parents and guardians that fines for curfew offenses will be issued if warranted. First offense fine is $50. 08/17/2018, PUBLIC NOTICE: The Village of Princeville will be doing curb and gutter replacement, sidewalk replacement and pavement resurfacing on South Cottage Grove Ave. beginning Wednesday, August 22, 2018. The project should be complete by the first week of October depending on weather. R.A. Cullinan is contracted to do the work. The project will be on Cottage Grove from Rt. 90 (West Spring St.) south to Blanchard St. When work begins, the section of road will be blocked off for thru traffic. There will be a detour going west out of town to Duncan Road, then south on Duncan to Laura Road, then back east on Laura Road to Princeville Jubilee Road. 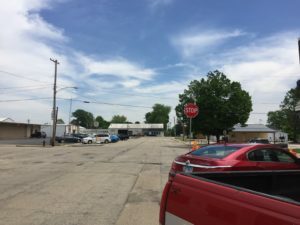 Residents that live on Cottage Grove will be allowed to travel to their homes most of the time, however, there will be some times that road will will be completely shut down. 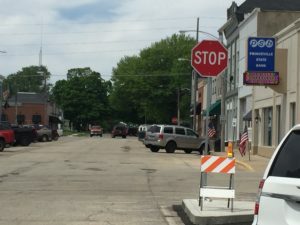 When it is shut down, residents will have to park on side streets or access their property from the alley if available. Mail should be delivered to the properties most days. If there are times they cannot, the contractor will make provisions. All traffic except large truck traffic can still access Cottage Grove/Princeville Jubilee by way of Douglas St. If there are any questions please feel free to contact Superintendent of Public Works, Chad Gardner, 309-678-4151. 08/01/2018, PUBLIC NOTICE: Due to unforeseen circumstances, the Village of Princeville Board of Trustees Monday, August 6, 2018 Board Meeting has been rescheduled to Tuesday, August 7, 2018 at 7pm. Meetings are held at Princeville Village Hall, Board Room, 206 N. Walnut Ave., Princeville, Illinois. As spring begins and summer is approaching, the Village of Princeville Code Officer would like to encourage residents to develop a maintenance plan for yard work and property maintenance issues. It is important to put a plan together in early spring to ensure your property is maintained year-round. Garbage must be placed in a container with a tight-fitting lid. Loose trash and litter causes blight and contributes to rodent issues. Grass and weeds cannot exceed nine inches in length. This includes growth in fence lines, around foundations and at the alley. Often occupants cut the grass, but do not eliminated all of the overgrowth. If there is a privacy fence on the property, the alley side of the fence must be maintained. Tall grass decreases property values and can lead to mosquito issues. Tree limbs, branches and debris must be removed from the property. Maintenance plans should address branches that fall off during a storm to ensure they are removed in a timely manner. Litter must be removed from the entire property, including the alley, around porches, curb lines and fence lines. Residents are encouraged to support the neighborhood by picking up litter. The garbage contractor will not pick up televisions or tires. Vehicles may not be parked on an unpaved surface. This includes the front, back and side yards and also along the alley. If you have questions on how to add additional parking to your property, please contact the Code or Zoning Officers for the Village of Princeville. Vehicles parked on the property must be licensed and operable; tags must be current and the vehicle cannot be in disrepair. Inoperable vehicles are a major eyesore and cause blight to our neighborhoods. Please be considerate of your neighbors and encourage everyone to keep our great community clean and safe. Dan can be reached at – or messages can be left at – the Village Hall, 309-385-4765. 03/18/2018, Notice of an open house coming up, regarding Community Solar in Princeville. 01/17/2018, The Village was recently notified: Eagle Enterprises Recycling will no longer accept plastic bags. This is particularly to discontinue the bag of bags–or loose bags that have nothing in them. Residents may still put other recyclables in bags, then put them in their totes. These generally are soiled or dirty so they were not able to be recycled. *Stores such as Walmart, HyVee and others may accept plastic grocery bags for recycling. Plastic bag recycle containers can usually be seen inside the doorways into the stores. Below is the notice that Eagle Enterprises Recycling has been attaching to the totes regarding the discontinued acceptance of plastic bags. As the weather warms up, we would expect residents to start seeing this sticker appearing on their totes. All questions regarding recyclables should be directed to Eagle Enterprises. 2018 Golf Cart/UTV stickers are available at Village Hall. REMINDER: Golf carts and UTVs are not allowed on state highways even if the highway is located within the village limits. They are only allowed on the village streets.